The UNU Centre for Policy Research (UNU-CPR) was established in 2014 in Tokyo as part of a broader effort to enhance UNU’s policy relevance in the fields of peace and security as well as global development. UNU-CPR’s core mission is to generate policy research that speaks to major debates in the wider UN community to spark policies change. 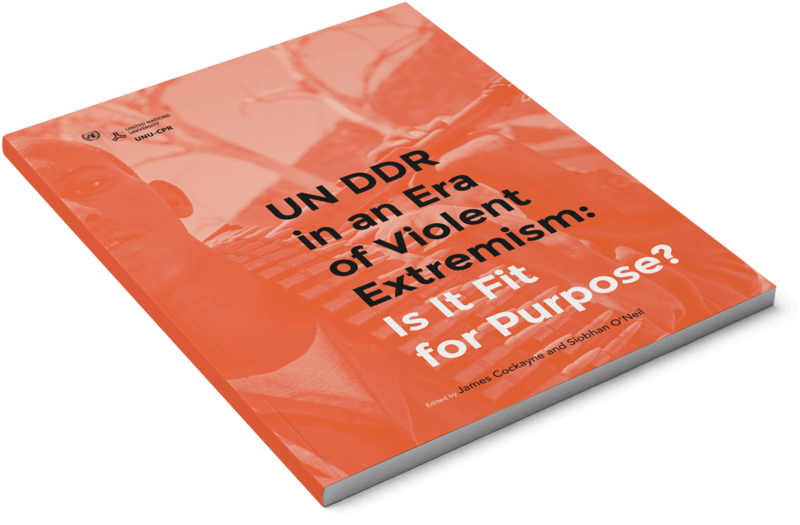 We were proud to be part of the chain by designing for the UNU-CPR office in Nyc a provocative report on the changing role of DDR to be presented on the June 4th 2015 international conference on Demobilizing and Disengaging Violent Extremists, a public event where a range of member states, UN agencies and programs, NGOs, think tanks and academic institutions as well as civil society were expected to be represented in the audience. DDR stands for disarmament, demobilization and reintegration. 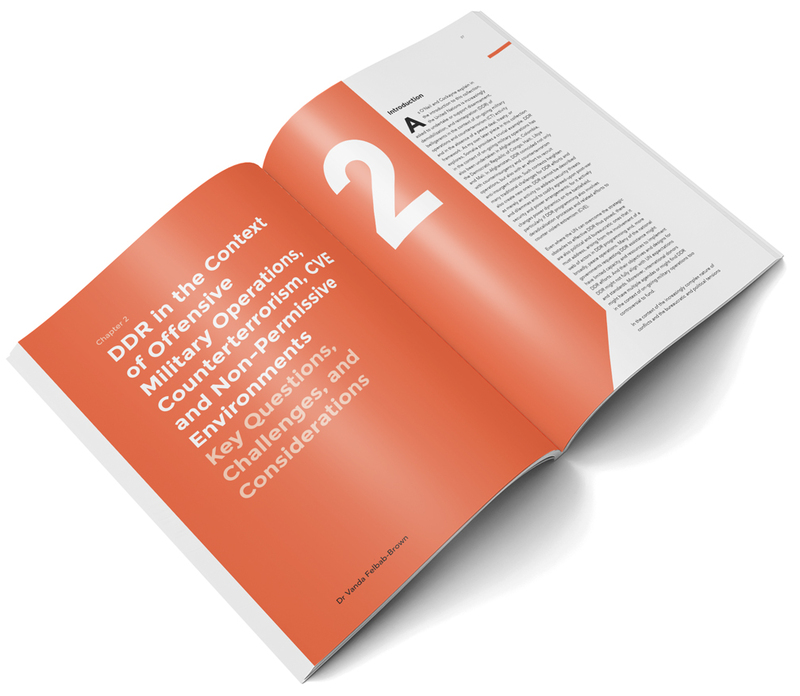 The objective of the DDR process is to contribute to security and stability in post-conflict environments so that recovery and development can begin. Through a process of removing weapons from the hands of combatants (disarmament), taking the combatants out of military structures (demobilization) and helping them to integrate socially and economically into society (reintegration), DDR seeks to support male and female ex-combatants and men, boys, women and girls associated with armed forces and groups, so that they can become active participants in the peace process. As Secretary-General Ban Ki-moon has stressed, “DDR has become recognized as a critical ingredient in consolidating stability and building peace in countries emerging from conflict.” However, as the nature of conflict evolves, institutions need to ask themselves some hard questions. 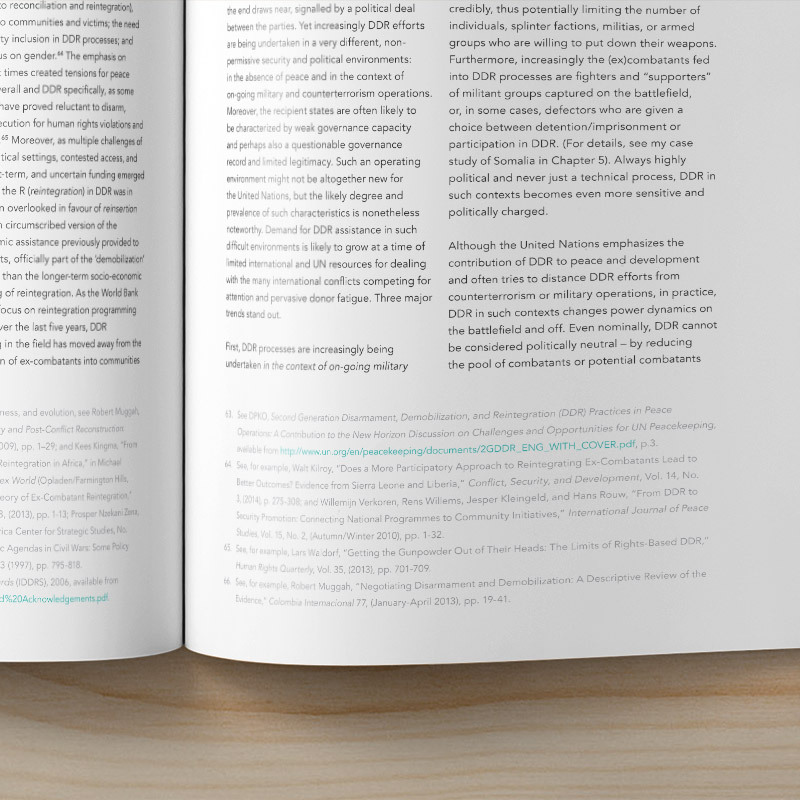 Is the traditional DDR approach fully fit for purpose in today’s conflict environment? 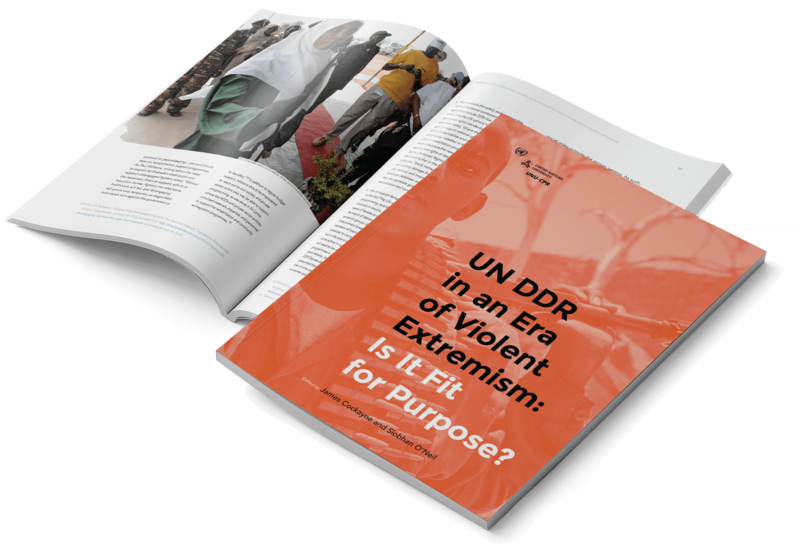 How does DDR relate to the new field of Countering Violent Extremism (CVE)? The concept behind this publication was set out to start an informal discussion and evaluate these types of difficult questions. The goal for the authors was not to develop an internal UN report, but rather to produce an unbiased collection of “think pieces” on the future of DDR. The independence of this collection resulted in a stronger, more credible collection of essays, where the authors raised often very difficult but essential questions about how DDR practice can address the challenges posed by ongoing conflict scenarios, particularly those in which DDR is called on to deal with violent extremist combatants. 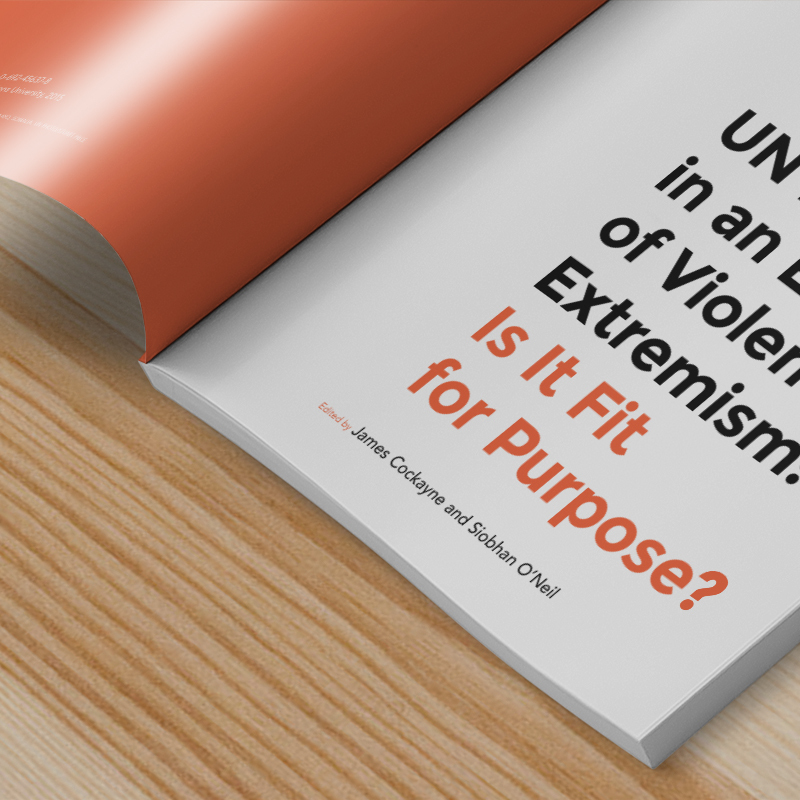 The ultimate goal of these provocative pieces is to prompt an engaging debate among Member States and United Nations entities, especially on how we can move forward together with thoughtful, empirically-driven innovation to craft better DDR and CVE interventions that are able to disrupt the cycle of conflict and contribute to international peace and security on the basis of the UN charter. 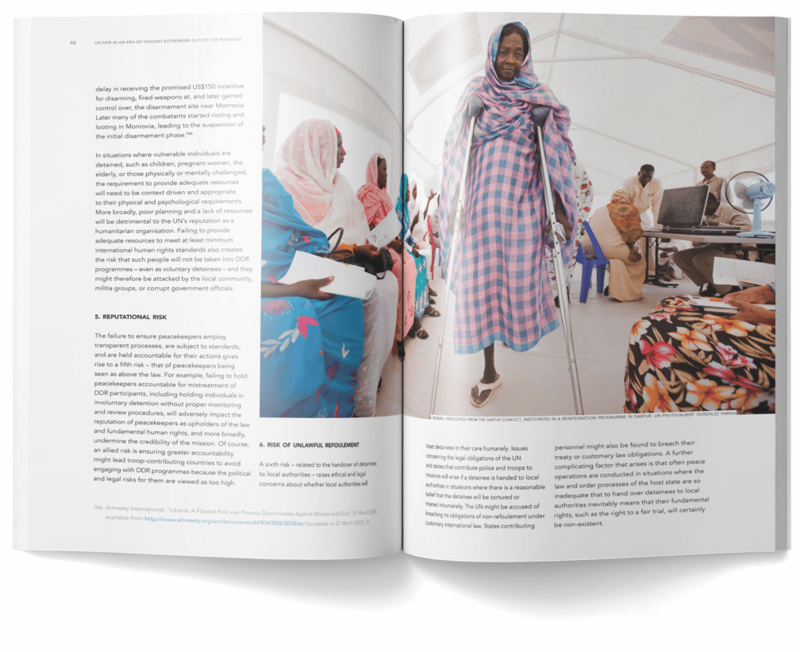 According to the context given, the brief was to create an official publication aligned with the UNU-CPR guidelines –yet with a more daring and poignant design to mirror the sharp urgency and stirring observations contained in its essays. While the draft document was being ultimated in Nyc we started a loose back and forth with the client over a period of three weeks during which we created a very inclusive blueprint of the draft they provided us. 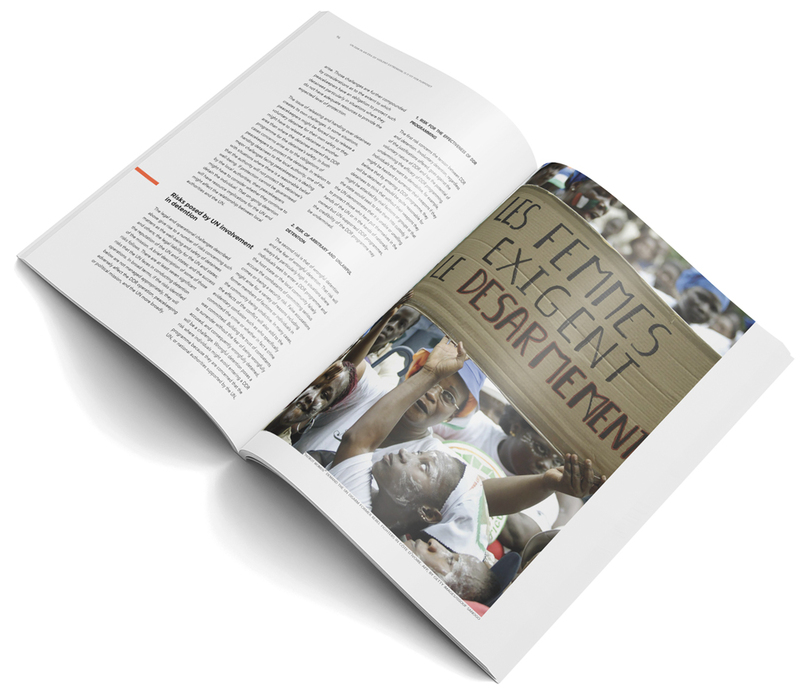 Knowing very little of what the final ducument would have contained, we tried to format what we called a bomb-proof mockup, encompassing different layout options, chapters openings, quotes, graphical elements, color palette, pull outs, endnotes vs footnotes and cover design options. This step was crucial as we agreed to be ready anytime to transform a Word file in a ready to print 160 pages book with 251 footnotes in the span of 6 days (and nights!). 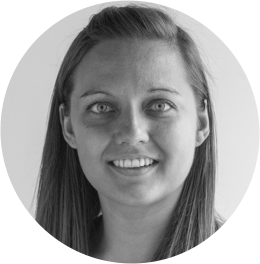 For such a fast turn around and to guarantee accuracy it was essential that we automate the process as much as possible with the use of styles, anchored object, Greps and various scripts. Receiving 6 different papers from 6 different authors stitched together in one Word file demands establishing right away a solid and clean hierarchy system. 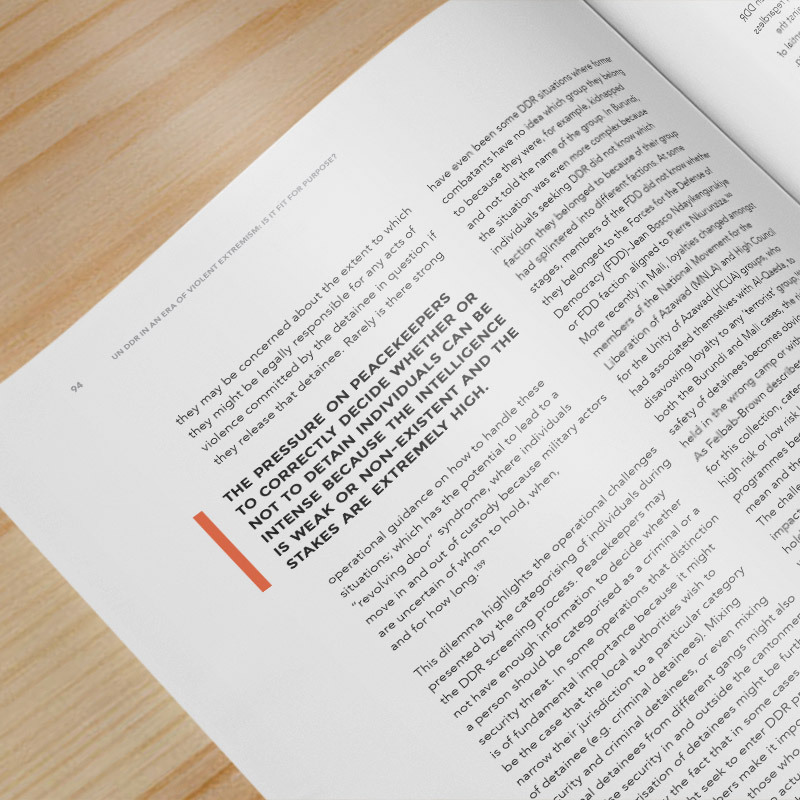 We created two different layouts for the inside essays and the introductory pieces and conclusion, to mark a clear distinction that would facilitate the reader’s experience. For the central essays we based the layout on a typical academic two column structure, slightly tweaked with an asymmetrical balance and flush left text for added dynamism. For corollary pieces and related analysis of the main content we used a less technical and more discursive wide single column. Each chapters begins poignantly with a high contrast spread. 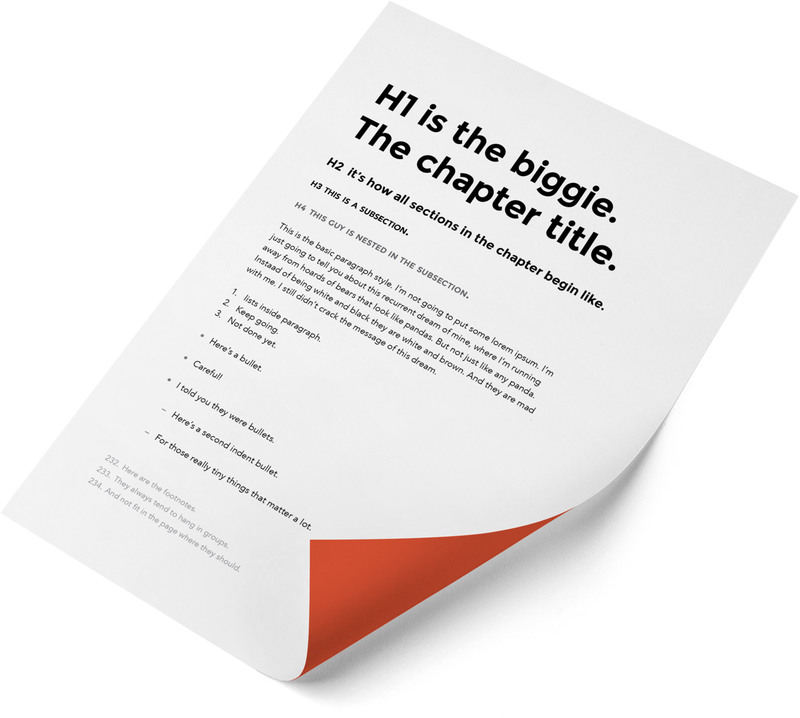 From the over-sized chapter number to the bold titles in white contained by the flat color block spreading three thirds of the width, the reading hierarchy helps the eye of the user until the black column of text on the right. We nested the impressive photos in the text layout, with comfortable breathing margins and bleeding in the white background captions. Horizontal bars in orange bleed on the side of the copy to signal the starting of a chapter, while the black ones marks its end. The same orange bars turn 90 degrees to stand vertically at the side of pull-outs. 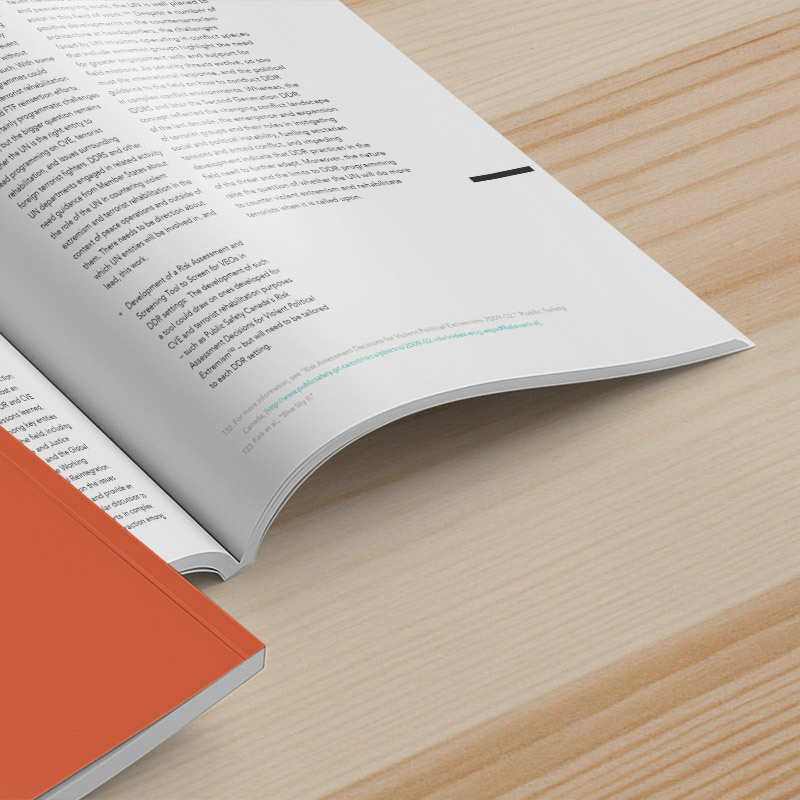 We balanced 251 footnotes across the document and made sure they were all interactive in the pdf version. You can find here the pdf, optimised to be read as a one page document on any screen device.